Dyslexia is a type of learning disability affecting the ability to process written, and sometimes spoken, language. In dyslexia, language centers of the brain are believed to be unable to process language in correct sequence. There is some evidence to suggest that the disorder can be hereditary, but the severity of dyslexia may be influenced by environmental factors as well. Some theorists believe that differences in brain development may also be a cause. Letter and word reversals are sometimes hallmarks of dyslexia. However, occasional reversals are considered normal through early adolescence and are not always a symptom of a learning disability like dyslexia. Further, not all students with the disorder will show reversals. A complete psychological, intellectual and educational evaluation is important to identify the specific types of reading errors the dyslexic child makes. Educators will develop specific strategies to address specific symptoms of dyslexia. Typical strategies focus on developing sight word vocabulary, work with reading comprehension, speech and language therapy to address articulation, phonemic awareness, receptive language, expressive language, and other speech and language disorder symptoms. Hands-on, or multisensory methods of working with letter and word orientation are frequently used for dyslexia. Not all letter reversals and mirror writing signal dyslexia. Such errors are developmentally normal in primary years. It is possible to see occasional reversals into the sixth grade without dyslexia. 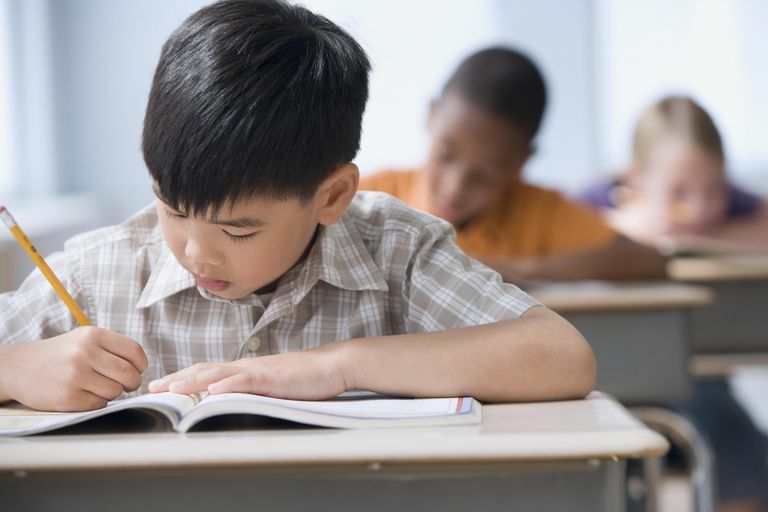 In contrast to normal, occasional reversals, dyslexia is a pervasive problem affecting most of the student's writing and in some cases spoken language as well. Dyslexia is also more difficult to correct than the occasional stray reversal. Students with dyslexia often require intensive language, reading, and visual-perceptual instruction to improve. Some assessments are marketed as dyslexia tests. Many evaluators, however, use diagnostic reading, writing, and language tests that are not labeled as dyslexia tests. Reviews of student work, cognitive testing, and observations are also helpful to diagnose the disorder. If the dyslexia is severe, and the child qualifies for special education, an individual education program will be developed to meet her specific educational needs. If you believe you or your child has dyslexia and may be learning disabled, contact your school principal or counselor for information on how to make a referral for assessment. An IEP team meeting will be held to discuss your request. Before you attend, learn about your rights as a parent of a child with a potential disability. Students in college and vocational programs can contact their school's advising office for information on policies, programs, and strategies to help achieve success. Your child's school may not use the term dyslexia, but it can still evaluate your child appropriately. Typically public schools use the labels and language from federal IDEA regulations. Dyslexia is a diagnostic term found in psychiatric diagnostic systems. Schools consider it one of several types of reading disorders they can serve under the label, learning disability.